Getting your travel visa approved on time is one of the best feelings in the world. What overseas trip could be complete without a visa? Jokes aside, a visa is the most important piece of document for international travel, and therefore understanding visa checklist is important. You cannot enter a country without a valid visa. Visa is the official transit document issued by every country to visitors from other countries. If people from other countries want to visit India, they must apply for and receive an Indian visa before their visit. It is issued in the form of a stamp or a sticker which is stuck on one of the pages in your passport. Each country has its own set of visa checklist, rules and procedures to grant visas. Also, there are different types of visas which are granted depending on the purpose of your visit. All these are short-term visas with limited validity. You must leave the country before your travel visa runs out. Some countries even offer you a “Visa on Arrival”. But that depends on which passport you hold. The visa checklist for short duration is different for every country. E.g. Indian passport holders can get the visa on arrival in 47 countries around the world which includes countries like Thailand, Indonesia, Laos, Jordan, Mauritius, Seychelles, Kenya, Bolivia, Ecuador, Jamaica and Cook Islands. Did you know that the Singaporean passport is the most powerful in the world? Singapore passport holders can visit an astounding 166 countries around the world without a visa or with visa on arrival! And it is also easy to get a Singapore visa if you’re travelling as a tourist. This tiny island nation will welcome you with open arms. Different countries have their own sets of procedures, protocols, visa checklist and documentation requirements for granting a visa. To get an idea of how the procedure works, let us take a look at the process of getting a United States visa. The USA has a “Visa Waiver Program” that allows residents of certain countries to visit and stay in the US for 90 days without a visa. Since India is not a part of that program, you will have to get a pre-approved visa before you leave for one of your international holidays to America. 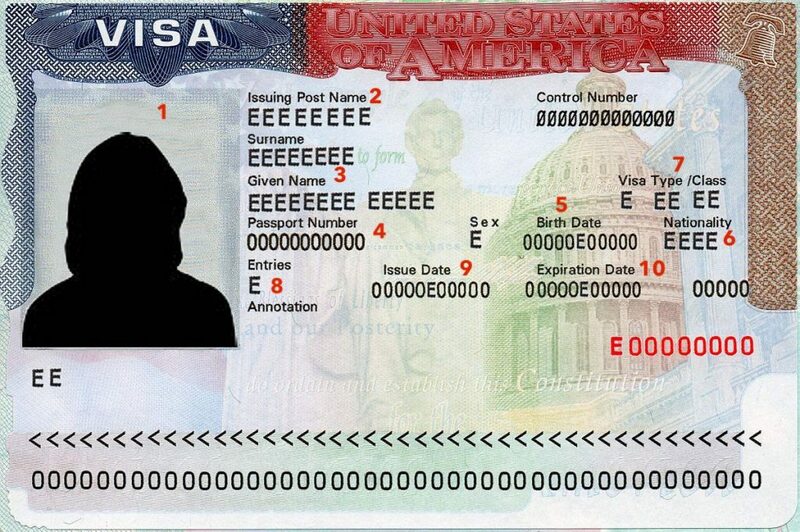 You can get any one of the following visas for your visit to America. Thomas Cook helps you to get your US Visa in 4 easy steps. We recommend that you start the process for your visa at least a month in advance to receive your visa well in time for your travels. Visit us at one of our branches or log on to our online visa application page fill in your details. 1. Fill in your required visa details and get a quote of visa fees, which will differ based on the type of visa you’re applying for. 2. Pay the requisite visa fees online or at any one of the Thomas Cook branches. 3. Submit all your documents, either online or at any one of our branches. 4. Appear for the visa interview at the consulate. At the end of these four simple steps, you should receive your US visa within the stipulated time. You will receive real-time updates on your visa status. Thomas Cook will be with you at every step and help you to get your visa without any hassles. Our visa experts will ensure that you do not commit any mistakes in visa details in your application. This will enhance your chances of getting your desired visa. How Does a Visa Look? These details are important as any mistake in visa information may result in cancellation of your trip. Such mistakes almost never happen. But it’s better to be safe than sorry. If you do notice a mistake in your visa, Thomas Cook will help you get the correct visa. Also, perform an online visa check while filling the visa application form to ensure that you enter the right information. Now let’s look at some questions which most of you may have regarding a visa. 1. Do I need a visa for travelling abroad? Indian citizens can visit certain countries like Bhutan, Fiji, Macau, Trinidad and Tobago, Mauritius and even Micronesia without a visa for a certain period of time. But for the rest of the countries like USA, Singapore and Australia you will have to get a pre-approved visa before you travel. 2. What is a visa on arrival? Certain countries allow Indian visitors to obtain a visa after landing at the airport. Usually, tourist-friendly countries like Kenya, Maldives, Iraq and Jordan issue this type of visas for Indian passport holders. 3. What are the different types of visas? In addition to the ones mentioned before, here are some more types of visas. 4. How early should I apply for a visa? Ideally, you should apply for your visa at least 3-4 weeks before your date of travel. 5. How can I track the status of my visa/visa application? If you have booked your visa with Thomas Cook, log on to our website’s visa section and enter your booking reference number to check your visa status.